CP Lab safety has curated a set of Infographics to help explain how the world works. Spreading the ideas of a green future is important to us and our community. The environment is constantly changing and keeping up with all the advancements in technology and environmental initiatives can become tiring. We have created some wonderful graphics to help with keeping safe in the laboratory and general workplace safety to how we can work together and create a "green" future. 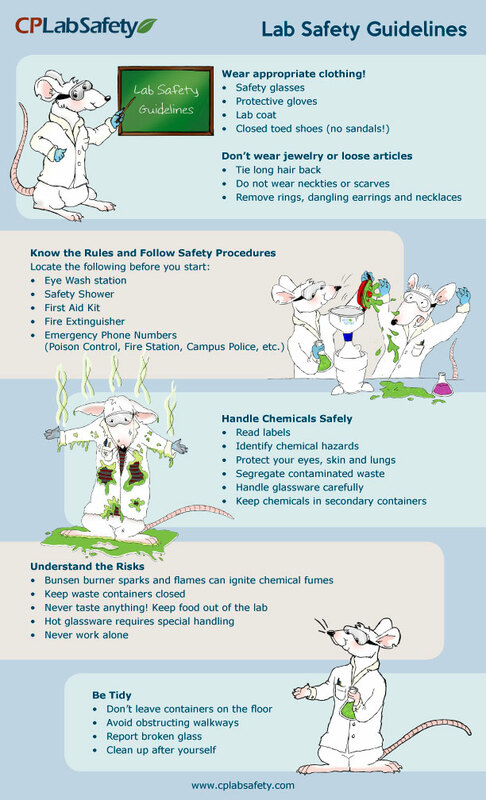 Our common sense Lab Safety Guidelines below are ideal for academic labs, providing an adorable reminder to students to be mindful of safely. Please click here to download a PDF copy of our Laboratory Safety Guidelines, which are free for common use.